Electronics is also part of my hobby. This is what I spend my spare time with during cloudy nights. Since September 2016, I have been busy building an autonomous robot. I’ll be creating a page about it soon and document my progress. Filipino-American NASA JPL Engineer Gregorio Villar III discussed about the development and the daily operations of the Curiosity rover in his talk Moving the Joystick: What it Really Takes to Operate a Rover on Mars on August 11, 2016, at the National Institute of Physics in UP Diliman, an event organized by the UP Electrical and Electronics Engineering Institute (UP EEEI) and the Philippine Microsatellite (PHL-Microsat) Program. 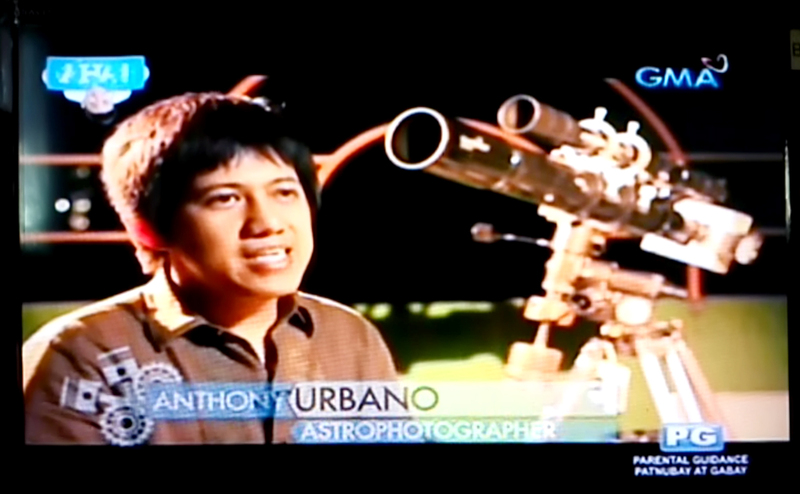 Astrophotography exhibit at the National Institute of Physics in UP Diliman on February 17-20, 2015, as part of the 2015 National Astronomy Week (NAW) celebration of the UP Astronomical Society. The exhibit featured photos taken by members of the organization. Three of my astronomy photos (Orion Nebula, Venus Transit, and an eclipse photo) were included in the exhibit. The Philippines celebrates NAW every third week of February each year.